elcome in Merlin Cave�s online store. Your are at the beginning of your mysterious travel through the webstore of Merlins Cave. This online store leads you through the world of Fantasy (larp) and History. The webstore is devided in three chapters; The first chapter is entirely dedicaded to LARP and fantasy. 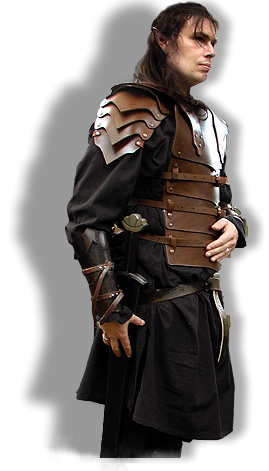 Here, you can find everything related to LARP and fantasy, from make-up to an extensive LARP-costume. The second chapter takes you back to the Middle Ages, to the time of Knights and Castles. We have got a lot of very exciting articles to transform yourself and your surroundings to an image from the past. An (R) means that products are suitable for Re-enactment. In the third chapter you can find new added items and possible specials..
Payments can be made with Paypal and transfering money to our bankaccount.